Pancreatic cancer is one of the most lethal of all malignancies. One of the reasons for the dismal prognosis is that most diagnoses are made when the disease is either locally advanced or metastatic. Recent advances in chemotherapy and chemoradiotherapy (CRT) enable “conversion surgery” to be performed for selected patients with initially unresectable pancreatic cancer following favorable responses to preoperative treatment. Using FOLFIRINOX as preoperative treatment, the resection rate was reported as 6–44% of patients with locally advanced cancer and the prognosis of these patients was favorable. 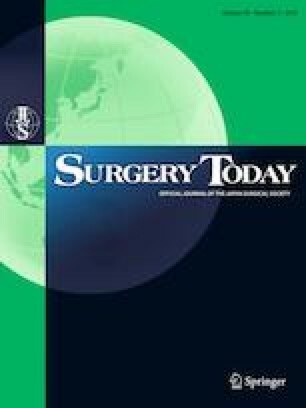 Even for metastasized cancer, recent reports show the effectiveness of conversion surgery, which has achieved 27–56 months of median overall survival. However, there are many unanswered questions about conversion surgery. The optimal regimen and duration of preoperative treatment remain unclear and there is still debate regarding the safety and effectiveness of vascular resection, which is often required for curative resection of locally advanced cancer. Accumulation of more data on conversion surgery is required to establish the safety and effectiveness of this treatment. In this review, we summarize the current status and unresolved issues about conversion surgery for initially unresectable pancreatic cancer. We thank all members of the Department of General Surgery, Chiba University, Graduate School of Medicine for their support and suggestions. Hideyuki Yoshitomi and his co-authors have no conflicts of interest to declare.